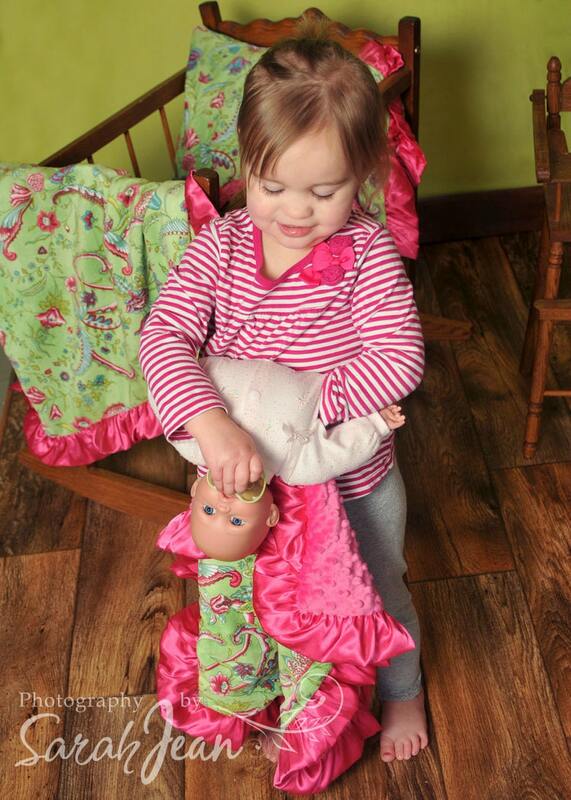 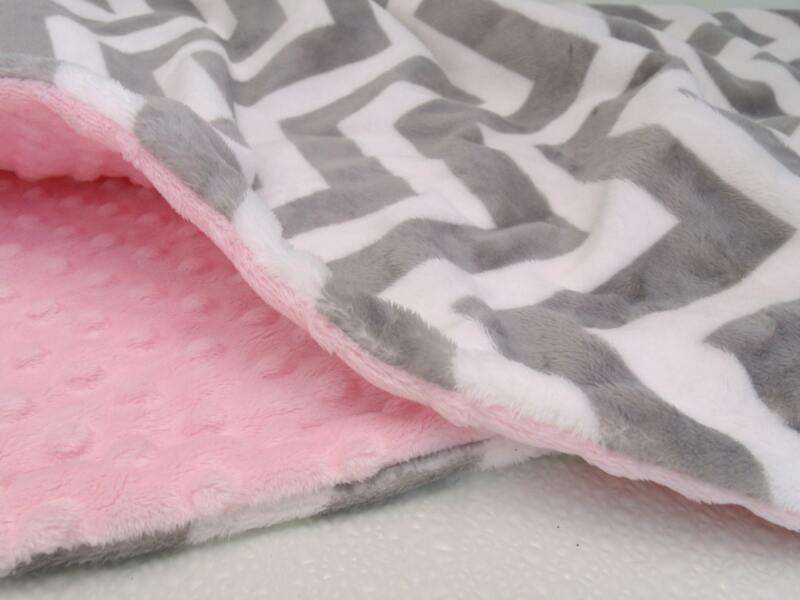 Light Pink minky blanket - a staple for any baby girl. 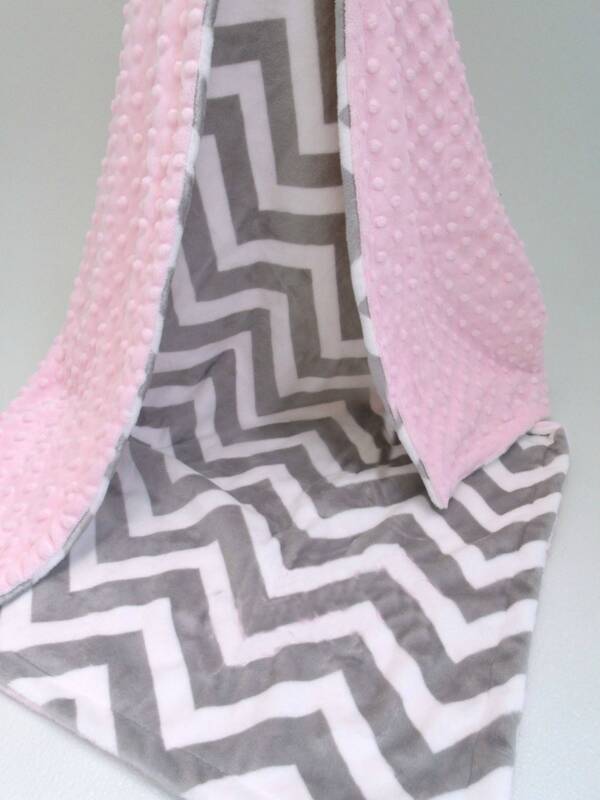 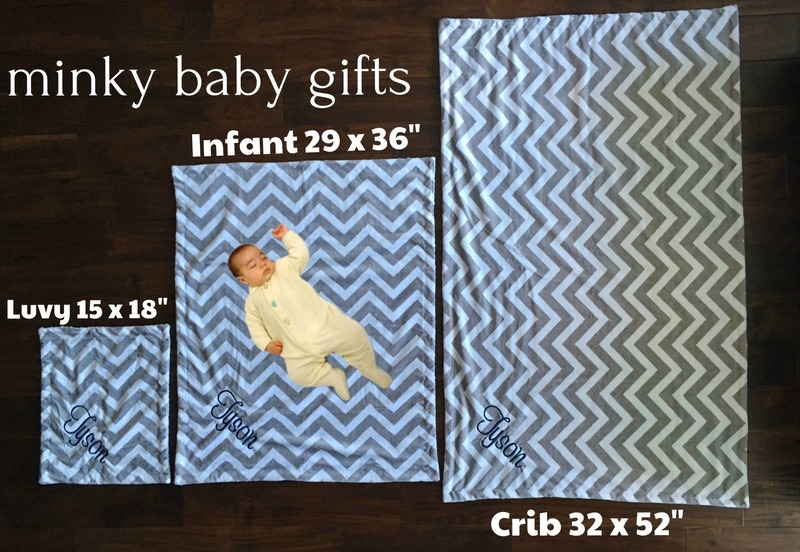 This Blanket features gray chevron on one side, and baby girl light pink minky dot. 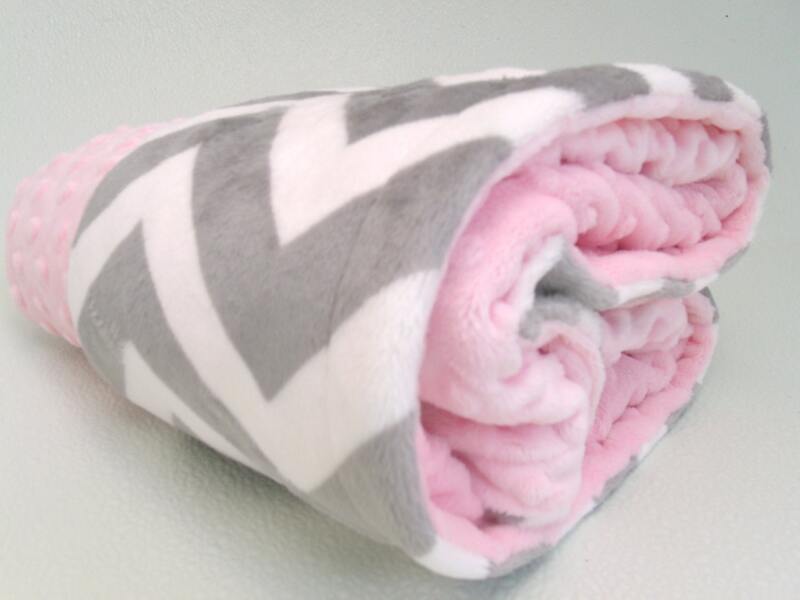 Also available in hot pink and fuchsia, light pink is shown.